To puncture the resulting sense of helplessness, we need an approach that is at once immediate (short-term) and comprehensive (long-term). A comprehensive approach is a radical one. It embraces every aspect of reality. Without such a panoramic sweep, we cannot even begin to counter the multifold scale on which the threats to life present themselves - whether in the form of war, hunger, pollution, illness, repression, insecurity or insanity. 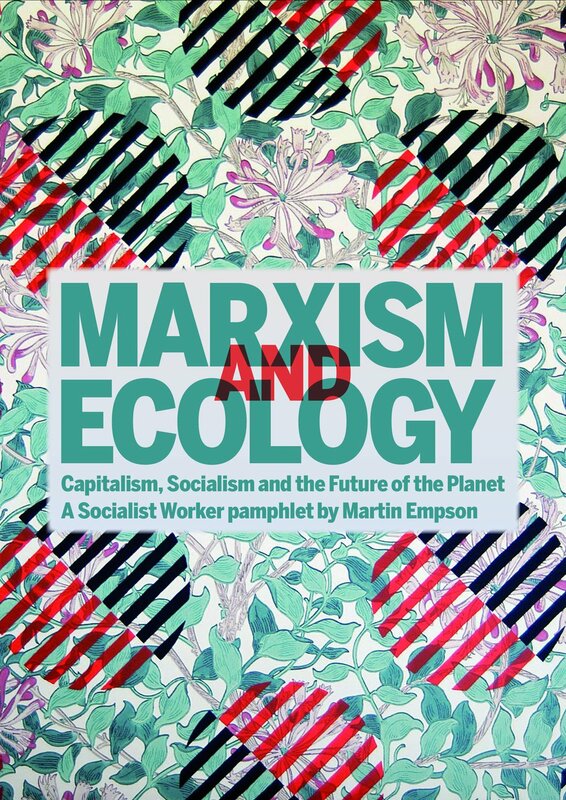 Wallis uses the term ecosocialism to argue for a "synthesis of ecology with socialism". But, and its an important but, he doesn't argue that socialism (or indeed Marxism) has never had an ecological component. 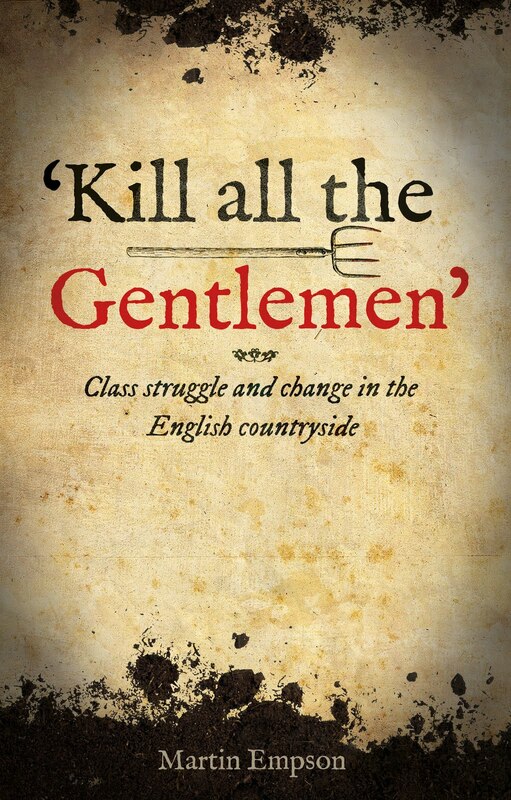 He notes the work of writers like John Bellamy Foster and Paul Burkett who have drawn out an ecological core to Karl Marx's work and shows how other revolutionary thinkers and activists have also understood the destructive dynamic at the heart of capitalism; and the potential for socialism to resolve the contradiction of a society dependent on the natural world that simultaneously destroys it. Token green measures may bring some relief, but they fail to challenge the power that keeps the toxic practices going. How can people be persuaded to target that power and build a political force capable of supplanting it?.. It entails on the one hand exploring the sometimes indirect arguments whereby the green-capitalist... approach is upheld. On the other hand, it requires attention to positive models, both actual and potential, of societies, movements, institutions, or even individuals that embody a cooperative rather than an aggressive/competitive approach to work and life. Returning to this theme, Wallis notes that Marx understood that a future, sustainable socialist world, would be one based on democratically organising and controlling the means of production. He notes though that we should not ignore the reality that not all socialist approaches (or societies that described themselves as socialist) have behaved like this. Wallis emphases the limitations of what he calls "first-epoch" socialism, the Soviet Union and Chinese society for instance, and argues that "the notion of workers' control offers, from within socialist thought, the basis for a thoroughgoing ecologically-oriented critique of the legacy of first-epoch socialist regimes." With this in mind I was enormously pleased to see Wallis defend and promote the concept of "planning" as part of his solution. Wallis makes it clear that he doesn't mean the top-down planning of the Soviet variety, but a bottom up approach that involves mass involvement. If we, as socialists, are to offer concrete solutions and strategies one of the most powerful tools we have is a vision of how a sustainable world can work - and the idea of democratically planning production is one that is unique to the revolutionary tradition. Simultaneously it allows us to show how the great wealth we are capable of producing can be used in a sustainable and equitable way. Too few socialists (eco or otherwise) put this forward and I think it an essential argument for our alternative. Wallis also discusses technology with this same approach. Technology he argues, is not neutral within society, but is determined by the dominant political and class dynamics. Thus technological solutions to environmental destruction serve the interests of those whose wealth and power implements them - which can in turn exacerbate the wider problem. Socialist technology must be marked by a "commitment to social equality and to ecological health" - it should also be democratically controlled, and the result of democratic decision making in contrast to the way that capitalists simply deploy new technologies to make profits. I do have two slight linked disagreements with the book. The first is about context, and doesn't really undermine Wallis' wider argument. 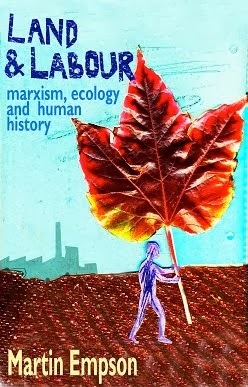 Among his criticisms of first-period socialism lies an argument that the ecological limitations of those societies arose because they favoured taking and maintaining state power, over the "transforming production relations". I am not sure I entirely agree with this. In the case of Russia in the aftermath of 1917 I think the problem was far more that the devastation of the working class core to the revolution in Civil War and famine destroyed the basis for real workers control. The failure of the German Revolution in turn left Russia isolated and encouraged an inward turn; the development of a bureaucratic class and finally the rise of Stalin's counter-revolutionary interests. Secondly, I thought that while Wallis was excellent on showing how building a revolutionary ecologically aware socialist movement required strategies for the here and now, as well as a longer term goal, I felt that he missed out having a serious discussion on the nature of the capitalist state and the way it would organise to protect and defend its own interests. Here I think we still have much to learn from Lenin and his understanding of how revolutionary movements can simultaneously smash the capitalist state and create the basis for a new, workers' state. But these are not points of departure they are places to begin a debate. 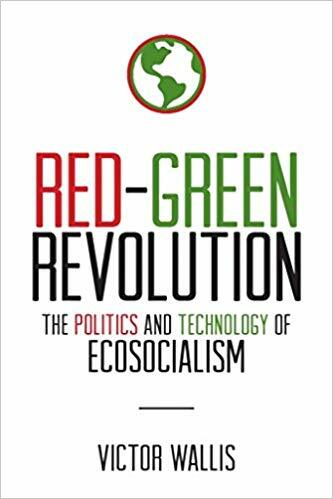 All in all I found Red-Green Revolution a deeply stimulating read, that tackled important issues without simply regurgitating tired old formulae - the chapter on intersectionality and class was particularly good in this respect. 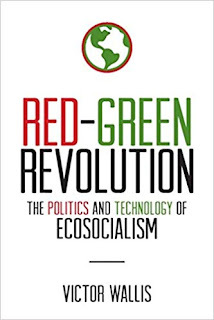 I'd recommend Victor Wallis' book both to environmental activists who want to better understand revolutionary socialist ideas and other, longer standing socialists who want to think through how to engage with the growing ecological movements. I think the real debate, at least one of the many, has to be around what do we mean by "democratic decision making" and "democratic control"? Most of our experience with "democracy" is not such as to lead us to place much faith in it as an abstract ideal. And given the right-ward, nationalistic, xenophobic turn of so much "democratic" politics these days, some of us don't have all that much faith in "the people" either. The book does sound interesting, but I'm wary of any writing that relies on what "must be" and what "should be." We all know that. What we have yet to discover is how to get there from here, especially in the vanishingly short time we have left before climate catastrophe strikes with full force.